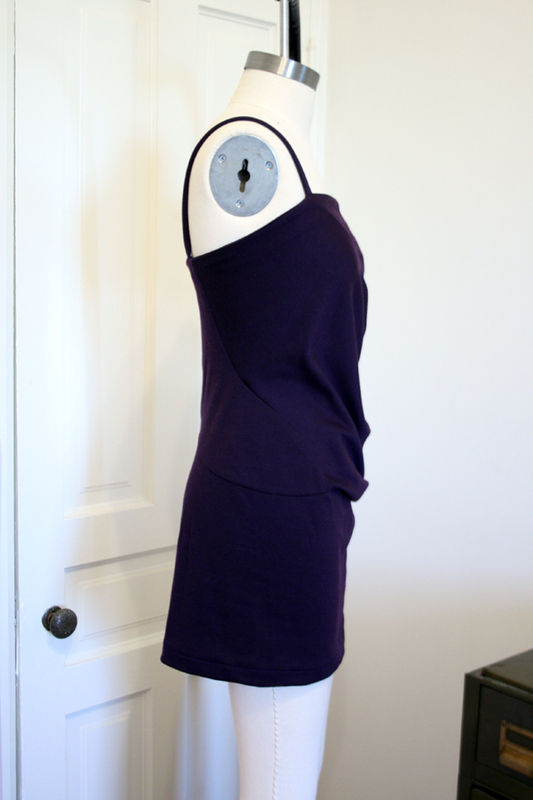 This dress is made out of an aubergine double knit rayon blend. 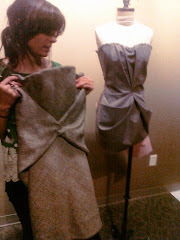 It features asymmetrical seaming and a slouchy drape. It is another take an the mini-dress, with more fabric, so you don't feel naked. 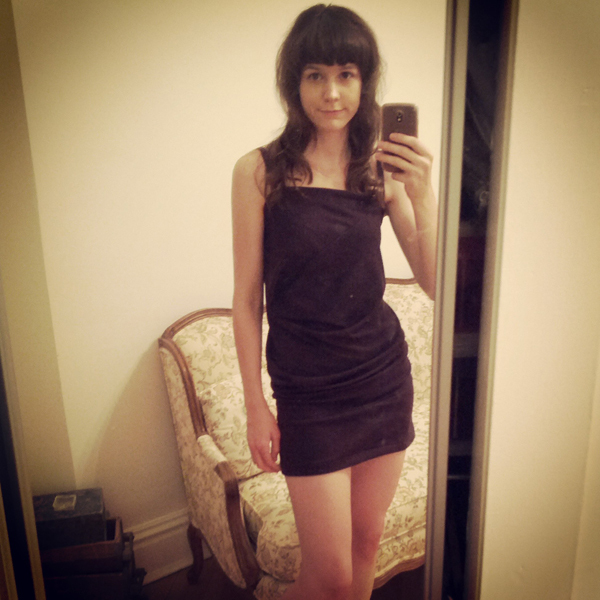 I wore it to a ladies' night party and felt pretty great in it. It is hot here, so I wanted something I could stay cool in, that is relaxed but fancy. I'm building up my sample library with the intention of (someday) producing a few of the most popular styles in small runs to sell as ready-to-wear. Let me know if this is a style you would want to wear.